Would you like to better manage your stress, anxiety, or chronic pain? Maybe you’re seeking balance in your life or a way to enhance your relationships. This eight-week course offers intensive training in mindfulness meditation, gentle yoga, and mindful communication. You will discover how mindfulness can reduce stress, alleviate a range of mental and physical health problems, and increase joy and kindness. Course includes eight sessions and one all-day retreat. No previous meditation experience required. Cost $550. Monday evenings March 25 – May 13, 2019. Registration is now closed. Course is full. The first and last classes are from 6:00- 9:00 in the evening. The other six classes are from 6:00- 8:30pm. 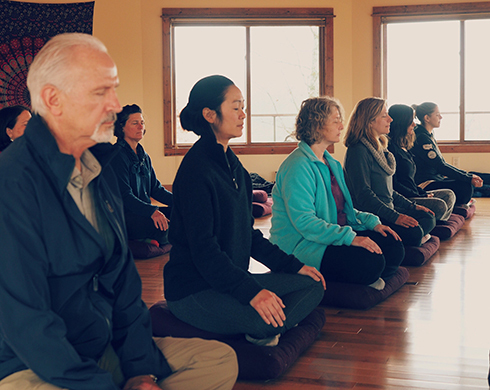 All-Day Retreat: 10:00am-4:00pm on Sunday May 5, 2019. All-Day Retreat: 10:00am-4:00pm on Sunday September 22, 2019. Up to 27.5 CEs approved for Psychologists, Social Workers, Licensed Counselors, Marriage and Family Therapists, Nurses, and Registered Dietitians. 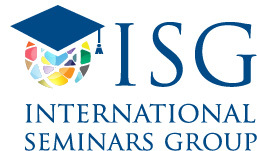 The International Seminars Group (ISG) is approved by the American Psychological Association to provide continuing education credits to Psychologists. ISG maintains responsibility for this program and its contents. Please subscribe to our newsletter (at the bottom of this page) to stay in the loop. This course can also help you improve concentration and attention, regulate your emotions, and enhance your relationships. You will learn how to focus on the present moment and be open to things just as they are. Over eight weeks, you will develop your ability to experience greater joy, compassion, and kindness. No previous meditation experience is required, although willingness to practice daily meditation is a key component of realizing the benefits of the course. Can’t make it to the Atlanta area for eight weeks? Contact us to learn about shorter intensive workshops or custom programs we can bring to you. You are eligible for a full refund minus a $50.00 service fee until 14 days prior to the course start. If cancellation occurs within less than 14 days you are entitled to a 50% refund. Once the class begins there is no refund.